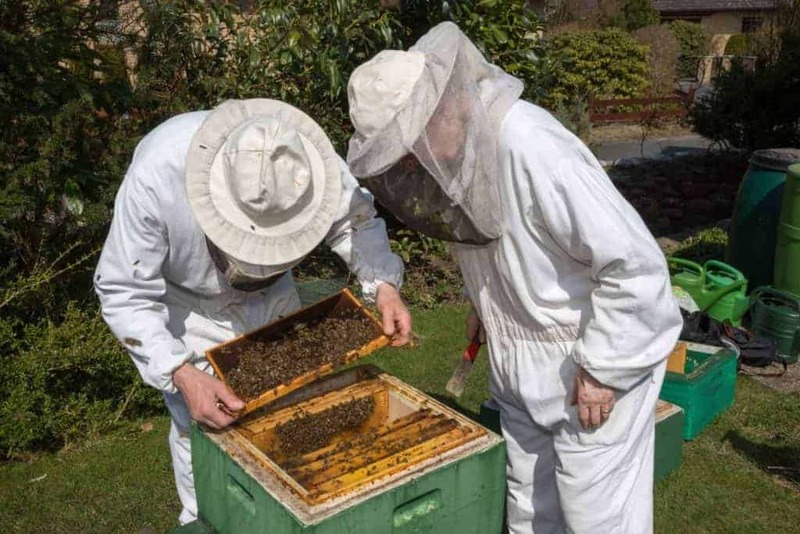 Welcome to the first lesson in the second part of our beekeeping course. Your Beehive and it’s when we get practical! Beekeepers have many choices when it comes to their hives and equipment. There are numerous types of hive in common usage today and each of these has multiple configuration options. To the new beekeeper all this choice can seem a little overwhelming. That is our plan in Your Beehive, namely to walk you through this maze of choices and the relevant terminology, in a way that positions you well to make the choices appropriate to you. And that is an important point – any discussion of beekeeping equipment, tools, clothing and more cannot be complete outside the context of your own ambitions and objectives in beekeeping. Our approach is to educate you on these important choices, to the point where you can apply the right context, namely you! If anyone tells you what you need to purchase without first asking you about your objectives, walk away! That context is essential for any beekeeper. 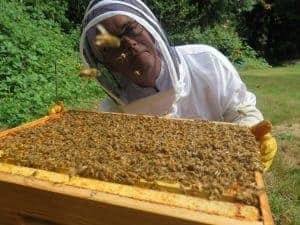 Similarly, without knowing a little about you and what you want from your beekeeping, no-one can ever answer the question “What is the best type of beehive?”. By the end of this course you will know about the Langstroth, Warre and Top Bar hives. You will have an opinion on the use (or non-use) of foundation. And as a beekeeper, there’s a good chance it will be a strong opinion! What will I know at the end of this section? You will know about supers, smokers, feeders, queen excluders, bee escapes and spacing tools. All things that you will need to be a success with your bees! We will also cover the big day – that special moment when you obtain your first bees and place them in your first hive. Beyond the essential decision of where to obtain your bees (and, yes, you have multiple choices here too! ), we will cover the placement of the hive, how to transfer the bees to your hive and move in to the important topic of the hive inspection. You might think your head will spin at the end of all this. All you need is a place to put your bees in a hive, right?!!! Thankfully, our structured and calm approach walks you through this sea of “beekeeping stuff”. You will find this fun, interesting and very informative. Just like our other two courses (Learn About Bees and A Healthy Beehive), we divide Your Beehive into three sections. Note: Our PerfectBee Academy course has more than twice as many lessons in Your Beehive and adds many benefits for those serious about starting in beekeeping. For details of the differences between the Introductory and Academy Courses, please see this page. For each of the main hive types, we will look at how and why they are designed the way they are. This is because we want you to understand them to the point you can factor in your own objectives and needs. We will also look at the specific components of each hive and the various expansion options and accessories you have available. We think you will love this section! This just scratches the surface of what we will cover in this section but rest assured you will discover a whole new set of terminology! Choosing a hive is exciting. Deciding on your equipment and clothing is important. But NOTHING compares to the excitement of installing your first bees in their new home. We recognize you will have some nerves. It’s our job to set you up to know what you are doing, so you can focus on the job at hand and get it done well, with pride and with confidence. We hope you enjoy this course.